Shade Custom Sawing strives to produce lumber that is flat, straight, and of even thickness. Whether you want beams, flat sawn, quarter-sawn, through-and-through, or dimensional lumber milled from your logs, Shade Custom Sawing can provide the service you are looking for. Shade Custom Sawing specializes in urban log utilization. Each year countless tons of wood products are disposed of in landfills. Sawing logs removed due to urban expansion or urban mainte-nance into lumber turns a waste product into a useful product. Shade Custom Sawing has sawn thousands of board feet from storm damaged trees. 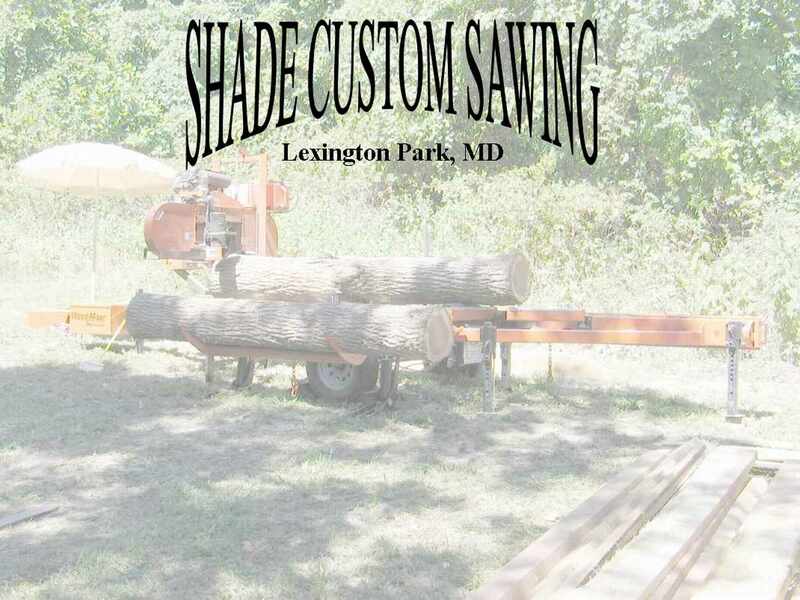 Shade Custom Sawing is dedicated to serving theSouthern Maryland area, helping people utilize valuable local resources.